After driving and testing nearly every new vehicle on the market today, KBB's editors have named the top 10 green cars on sale in the U.S.
Kelly Blue Book has named their estimation of the 10 greenest cars on sale in America. In naming this list of cars, on Friday, the Kelly Blue Book team claims "Green Cars really have gone mainstream" and that "several of the best-selling cars in the country are now being offered in hybrid, diesel or even pure electric form." Increasingly car buyers have the ability to choose car with the powertrain they prefer, whether it is turbocharged gasoline, turbocharged diesel, hybrid, plug-in hybrid, or electric. 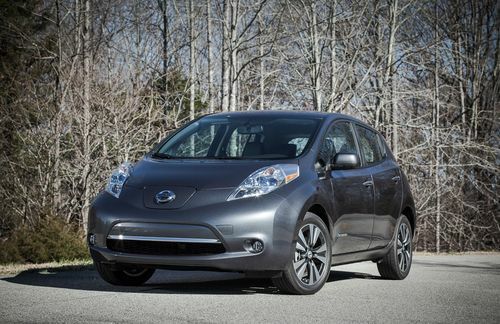 "The 2013 Nissan LEAF marks a turning point in the electric vehicle movement with increased content at a reduced price that makes the vehicle competitive with traditional cars in its segment. We're seeing buyers diversify beyond early adopters, and, as the global leader in electric vehicles, Nissan is committed to providing affordable zero-emission options for the mass market," said Erik Gottfried, Nissan director of electric vehicle sales and marketing. "Consumers only have one choice for the most energy efficient electric vehicle – the Honda Fit EV. What's more, its power and handling make it one of the most fun-to-drive EV's available," said Art St. Cyr, vice president of product planning and logistics at American Honda. "This recognition from KBB.com further highlights the tremendous environmental and customer value that the Honda Fit EV offers." Took delivery of my Leaf S yesterday. Base model that it is I am very pleased, the price was right, and I will use it as my commuter. I gave my Luxury Chevy Volt to my wife for her daily commuter as well as our get-out-of-town car.